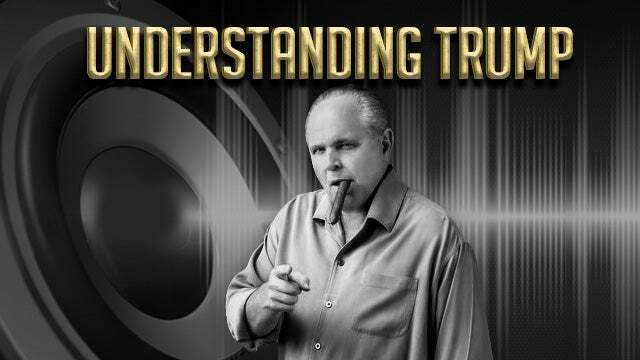 RUSH: The piece is written by J.B. White, and it is published at the American Greatness website, AmericanGreatness.com. It’s called, “The OODA Loop President.” O-O-D-A. “The OODA Loop…” Let me find here what it stands for. I did not underline it. I should have to save some time. It’s a process by which Trump sizes things up and moves on them and makes decisions that keeps him way ahead of the conventional wisdom and the people that are in line trying to figure out what’s happening to them. Be patient with me here. It was my bad. I should have underlined where the definition of this is, and I’ve got everything highlighted but that. Da-da-da-da-da-da-da-da-da. Well, let me just start with the pull quotes and I’ll run into it, I’m sure. Because so much of this dovetails with what I’ve been saying about Trump and his technique or the way he goes about things for two years and how they’re way behind and don’t understand how Trump built the bond he built with his supporters. I’ve tried to explain how it is Trump’s still standing. We’ve had Donald Trump virtually assaulted every waking minute of every day from the moment he entered the race and it intensified as he won the Republican nomination, and then the election. This is the author of the piece. “I’ll try to quickly detail why by quoting … Richard Fernandez of the Belmont Club. In a piece he wrote in December 2016, just prior to Trump’s inauguration … and in the context of Trump’s signaling with respect to what should be our posture with China, Fernandez wrote that: The Democratic Party should stop underestimating Donald Trump. The good news is that he moves at nongovernment speed. “The bad news is that, due to his outsider status, nobody knows exactly where he is going,” but he does. “Fernandez, like McLaughlin,” somebody else mentioned in the piece, “the year before, was noting the up-tempo speed of Trump. McLaughlin’s discussion of Trump’s use of the OODA Loop,” and I’m sorry, I’ll find this here in a second, “correctly noted that speed lies at the core of [the] theory of conflict, and has been the most influential element of [the] strategic thinking. “Further, ‘[The] core insight was about the interactive and disruptive nature of speed on human decision-making: Success in conflict can be rapid and dramatic if one can ‘operate inside the OODA Loop’ of the opponent. '” All right, now it’s incumbent upon me… Here it is: Observe, Orient, Decide, and then Act. “Back in December of 2015, Dan McLaughlin wrote an excellent piece in The Federalist on the then-upcoming Republican primary race. “It offers quite the window into the political decision making of Donald J. Trump. In it[,] he accurately outlines Trump as the candidate employing the Observe, Orient, Decide, and then Act principles [of a] famed American fighter pilot…” Now, it is also said that this is not a conscious thing that Trump does. It’s just who he is. It’s a personality type. It’s found in great leaders, and the notable aspect is speed, which is exactly the opposite of how things happen in Washington. Trump is moving faster. Look at what he did in one year. The way… I know some of you people think, “Well, look how long it took for Obamacare, the tax cut. The whole year.” How long has it been since we had a tax cut, folks? It was 1986! You look at what Trump did in one year. Look at what he got done in one year with the entire opposition of the Drive-By Media. And for much of the year the opposition of a lot of the Republican Party. Donald Trump had one of the most productive first years — or any years — of any modern president, and it was because of the speed with which he was working. There wasn’t anything casual about it. And, yeah, certain things did take a long period of time within various, depending on how you want to use the relative points. But in political terms, Trump was sprinting when the rest of the swamp doesn’t ever sprint. Now, this means here you have a capitalist whose life experience is bloodthirsty competition in the capitalist markets – and believe me, capitalist competition is not pretty. It’s bloody, it’s dirty because it’s for all the marbles. And I don’t mean this in a negative way. It’s exactly what happens in competition at this level. One of the best examples I can give you of it is look at all the negative press Apple gets despite being the king of everything they do. If you did nothing but look at the media that Apple gets, you’d think they’re about to close up shop and that everybody hates ’em. And if you know enough to dig deep, you find out that many of these stories are bought and paid for by competitors, other phone makers, technological companies who slip money to journalists under the table. I mean, the rules are whatever you can get away with within the scope of the law. The point is, it’s… “Bloody” is the wrong word to use here, but it is real serious competition. The point is this is Trump’s world. Trump’s “skillset [is that] of an apex predator occupying the most powerful position on Earth, suddenly turned loose on a political world that still can’t comprehend what the heck has hit them…” So Trump ends up being a chief executive like none before him. And everybody in the establishment — I don’t if it’s Chuck Todd, if it’s Chuck Schumer, if it’s the Drive-By Media. They only have one way of judging performance inside the Washington political world, and Trump is never ever gonna fit in there. He can’t. It’s not his world experience, his life experience. On the other hand, these people haven’t the slightest ability to understand it, and so they condemn it. They’re threatened by it, because this is precisely what they have never wanted. They have strived to keep this kind of person out of influence and power inside the Washington establishment. “The Observe, Orient, Decide, then Act strategic cycle arises from the quintessentially American spirit of playing to win that Donald Trump embodies and for which he has endured … mockery from the so-called ‘conservative’ NeverTrump crowd,” including the Democrats. And that really, when you boil it down, that’s what they’re mad at! Trump’s winning. Trump’s winning with their ideas, not them. They couldn’t win with their ideas. They didn’t win with their ideas, the Never Trumpers. They didn’t even really seriously try to win with their ideas. They just told everybody what their ideas were, and the reaction was supposed to be, “Wow. Are those guys smart!” But implementing them? Nah. There wasn’t anybody that knew how, wasn’t anybody in power to do it. Here comes Trump, not knowing who these people are. Trump is not a think tank dweller. But he is a winner. And he believes in America winning. He thinks that’s the natural order of things: America wins. It’s not the natural order of things in Obama’s world. It’s not the natural order of things in the Democrat Party. America winning is unjust! America winning is unfair! Because America is the gigantic majority in the world, and it’s just not fair. And that’s why they’re all for illegal immigration and for every little minority that comes along to derail the giant America because it’s just not fair what America gets away with! It’s not fair America wins all the time. It’s not fair. America needs to lose! That’s the mind-set of the Democrat Party. That’s a foreign language to Donald Trump. You don’t do things to lose. If you’re gonna lose, you don’t even get in the arena. Donald Trump’s quintessential spirit is winning. “It is a competitive spirit that pays homage to our individual survival down through the ages as a species and to our collective prominence as a nation.” We are winners. Patton said it. We love winners. We are winners. And that’s our natural existence. And we’re up against a political force that is tired of America winning, who think that it’s not fair, that it’s immoral, that it’s unjust, that America has won too much. And that’s what Trump’s up against. “Donald Trump not only understands this heritage, he intuitively comprehends it in ways Barack Obama never could,” because Obama… America winning? There already been too much of that, and the things America won ended up hurting people, right? Discriminating against people! When America won, other people lost things, and it wasn’t fair — and that’s why the Iranians should damn well have a nuke if they want to. It’s not fair that they can’t and we do, and it’s not right that we tell them that they can’t. There’s no sense of moral superiority, justness, no concept of America being the good guys on the American left. And with Donald Trump, America is the good guys, we embody the good guys, and we’re the only one that can defend the other good guys around the world. And Trump intuitively understands this. He doesn’t explain it because he may not even be able to. It’s just the world he lived in and still lives in. 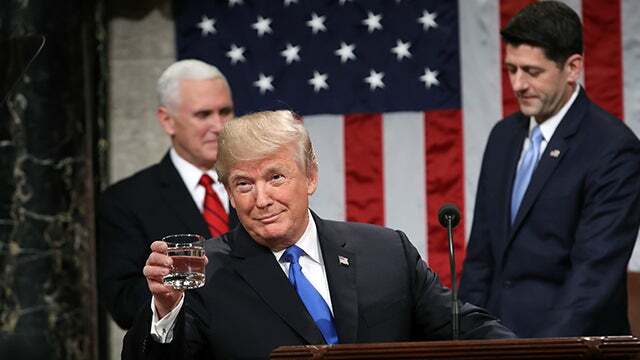 And Trump “knows this spirit,” the spirit of winning and competing “provides the very foundation sustaining our strengths [in America] socially, politically, historically, culturally, commercially and militarily.” Winning’s it, winning’s everything, and that’s how Trump judges things — and they’re not even on that field. America doesn’t even deserve to win to Chuck Todd, to Chuck Schumer, to anybody in the Drive-By Media. That’s why Obama was constantly apologizing! It wasn’t right we won things. Trump will never apologize for America winning, and it’s why Trump will always ridicule our competitors when he beats them, because they are trying to knock us off! And it was bad enough when we had people in the White House who wanted to help them knock us off because they thought that was eminent fairness. Well, given this set of circumstances — and it goes deeper than this, but there’s no way these people are ever gonna understand Trump. And if they ever did, they would resent him even more.